Our culture places a lot of importance on self-reliance. We like to feel we are in control of our lives. But sometimes an outside perspective can help you make real breakthroughs in building the life you want. 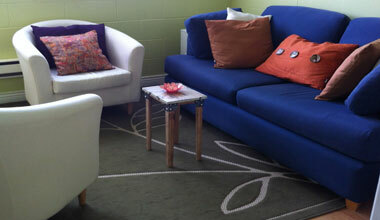 Individual counselling at Steadfast is an opportunity to talk about the things that concern you. Our transpersonal counselling approach lets you consider your life in the context of the many relationships you have; with family, co-workers, and friends. We look at how those relationships impact the way you feel and how those feelings can impact your behaviour. If you’ve ever tried to talk to someone about a concern you have and then listened to them try to ‘fix’ it for you, rather than truly hearing what you are saying, then individual counselling will be a pleasant surprise. We help you by giving you the space and guidance to discover the insights that are right for you, by helping you to better understand yourself and how your relationships are impacting your life. Importantly, you don’t need to be at the end of your rope, or feeling like there’s no way out before you consider counselling. Your concerns might range from wanting to revisit past relationships, to putting your present-day emotions into perspective. You may be seeking help to reach an important decision, or create new patterns in your life. Your situation may concern family, or substance abuse, or sexuality, or money issues. Whatever the topic, Steadfast’s trained counsellors can help you gain insights into those situations, and many more. We are here to listen and offer you the tools to better understand your own behaviours and reactions to both the good and bad things that are a part of your life. With that information in hand, you will find it easier to live according to your values and principles and find the confidence to trust your own ability to decide what’s right for you.